Go to Nostalgia Time - 20th Century stuff. like to submit a report on the day, please send to our webmaster. SCCNSW Invitation Run - Robertson Heritage Railway Station Car Show, Robertson. Click >here< to see some photo's from the day. SCCNSW Club Run - Breakfast at Carss Park Cafe. SCCNSW Invitation Run - Oakville Fire Brigades Family Fun Day & Car Show, Pitt Town. SCCNSW Club Run - Southern Highlands Run, Tahmoor & Mittagong. SCCNSW Club Run - Breakfast at Java Lava Cafe, Pennant Hills. SCCNSW Club Run - Newcastle Halfway Meet lunch, Brooklyn. SCCNSW Club Run - Breakfast at Vaucluse House, Vaucluse. SCCNSW Club Run - Australia Day - Australiana Pioneer Village, Wilberforce. If you have any photo's or report on this event, please share by sending to our webmaster. SCCNSW Invitation - All American Car Display, Campbelltown. SCCNSW Club Run - Breakfast at Baybreeze Cafe, Sans Souci. SCCNSW Club Run - Christmas Party, Blacktown. 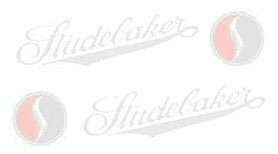 SCCNSW Invitation - Newcastle Studebaker Club Display Day, Club Macquarie at Argenton. SCCNSW Club Run - Breakfast at Luddenham Village Cafe, Luddenham. SCCNSW Club Run - Burwood Festival, "Classic Car Show & Shine". Unfortunately, this event was cancelled due to bad weather. SCCNSW Club Run - SCCNSW Concours Display - Ettalong. SCCNSW Club Run - "International Drive Your Studebaker Day", Gosford Classic Car Museum. SCCNSW Club Run - Breakfast at Lime Leaf Cafe (Sunrise Nursery), Helensburgh. SCCNSW Club Run - Shannon's Classic, SMP - Eastern Creek. SCCNSW Club Run - Breakfast at Wagu Cafe, Kingsgrove. SCCNSW Club Run - American Independent's Day, Linnwood House. SCCNSW Club Run - Breakfast, Teas & Greens Cafe, Wilton. SCCNSW Club Run - Lunch run to Anglers Rest, Brooklyn. 2018 European Studebaker Meet - Kungälv, Sweden. SCCNSW Club Run - Breakfast, Carss Park. If you attended this event, please submit a report, and/or photo's to share. SCCNSW Club Run - Breakfast, Java Lava Cafe, Pennant Hills. SCCNSW Club Run - Oakville Fire Brigades Family Fun Day & Car Show, Pitt Town. SCCNSW Club Run - Breakfast, Kokoda Cafe, Concord West (Rhodes). SCCNSW Club Run - Picnic lunch, Burragorang Valley Lookout. SCCNSW Club Run - Breakfast - Luddenham Village Cafe, Luddenham. SCCNSW Club Run - Halfway Meet Brekky with Newcastle Stude Club, Brooklyn. SCCNSW Club Run - Breakfast to Barenz, Camden. SCCNSW Club Run - Australia Day - Australiana Pioneer Village. Rose Street, Wilberforce. SCCNSW Invitation - 36th All American Car Display, Castle Towers. SCCNSW Club Run - Breakfast to Como Marina. SCCNSW Club Run - Christmas Party - Phil & Helen's. SCCNSW Club Run - Breakfast - St. George Motorboat Club. SCCNSW Invitation - Trinity Gramma, Display Day. SCCNSW Club Run – Studebaker Car Club Newcastle Display Day, Club Macquarie, Argenton. SCCNSW Club Run - Breakfast - Flower Power, Orchard Hills. SCCNSW Club Run - Morning Tea Doug & Vivian's, & Campbelltown Steam & Machinery Museum. SCCNSW Club Run - Burwood Festival. SCCNSW Club Run - Breakfast - Lemon Grass Cafe, Kingsgrove. SCCNSW Club Run - International Drive your Studebaker Day, Austinmer. SCCNSW Club Run - Shannon's Classic, SMP, Eastern Creek. SCCNSW Club Run - Breakfast - Carss Park. SCCNSW Concours - Ettalong, Central coast NSW. SCCNSW Club Run - Breakfast - Flower Power, Moorebank. SCCNSW Club Run - Halfway Hunter Valley meet 'The Anglers Rest Hotel', Brooklyn for lunch. SCCNSW Club Run - National Motoring Heritage Day, Wentworth Falls Lake. SCCNSW Club Run - Breakfast - C Side Restaurant, Kyeemagh. USA SDC International Meet - South Bend, Indiana. Australian Studebaker Car Clubs - 22nd Nationals, Renmark, SA. SCCNSW Club Run - Breakfast - Sublime Point Cafe. SCCNSW Club Run - Morning Tea, sight seeing and lunch, Burragorang Valley. SCCNSW Club Run - Breakfast - Rockabellas Roadside Diner, Robertson. SCCNSW Club Run - Halfway meet with Newcastle & Hunter Clubs, McKell Park, Brooklyn. SCCNSW Club Run - Breakfast, Como Waterfront Cafe. SCCNSW Club Run - Australia Day, Australiana Pioneer Village. SCCNSW Invitation Run - All American Day, Castle Hill Towers. SCCNSW Club Run - Christmas Party, Dave and Christa's. SCCNSW Club Run - Breakfast, Lemon Grass Cafe, Kingsgrove. SCCNSW Invitation - Trinity Grammar School Fiesta Car Display - Summer Hill. SCCNSW Invitation - Newcastle Studebaker Car Club Display Day - The Entrance. SCCNSW Club Run - Breakfast, Barenz, Camden. SCCNSW Club Run - Morning Tea - Pie Shop, Bells Line of Road, lunch - Mount Tomah. SCCNSW Club Run - Burwood Festival - Classic Car Display. SCCNSW Club Run - Breakfast, Parramatta Park Cafe. SCCNSW Club Run - International Drive Your Studebaker Day, Mittagong. SCCNSW Club Run - Breakfast, Bella Vista Cafe, North Head (Manly). SCCNSW Club Run - Shannon's Sydney Classic, S.M.P., Eastern Creek. SCCNSW Club Run - American Independents Display, Linnwood House. SCCNSW Club Run - Breakfast, Carss Park Cafe. SCCNSW Club Run - Breakfast. Parramatta Park Cafe. Unfortunately, this event was cancelled due to the appalling weather. SCCNSW Club Run - Woronora Dam, picnic. SCCNSW Invitation - National Motoring Heritage Day - Museum of Fire, Penrith. SCCNSW Club Run - Breakfast, to Sublime Point Restaurant, Bulli Tops Tel:02 4267 1855. SCCNSW Club Run - Morning tea at Dave and Christa's, lunch at Boots, Windsor. New Zealand - 24th Nationals, Cromwell. Click >here< to see some photo's from the event. SCCNSW Club Run - Breakfast, Dunes Kiosk, Palm Beach. SCCNSW Invitation - Northern Beaches Car & Bike Fest, Warriewood. SCCNSW Club Run - Halfway Meet Breaky, Brooklyn. SCCNSW Club Run - Breakfast - Como Waterfront Cafe, 2 Cremona Road, Como. SCCNSW Club Run - Australia Day CARnivale, Parramatta Park. SCCNSW Invitation - All American Day, Castle Hill. SCCNSW Club Run - Christmas Party - Doug and Vivian's. SCCNSW Club Run - Breakfast, Adagio's Cafe - Georges Hall. SCCNSW Club Run - Ladies Day, Windsor. Invitation - Newcastle Concours Display day. Due to lack of numbers, unfortunately, this event was cancelled. SCCNSW Club Run - Burwood Festival - Burwood Park, Burwood. International Drive Your Studebaker Day - BBQ Lunch, Mc Keller Park, Brooklyn. SCCNSW Club Run - Breakfast, Kokoda Cafe, Rhodes Park. Invitation - Muscle Car Masters, Sydney Motorsport Park. SCCNSW Club Run - Shanon's Sydney Classic, Sydney Motorsport Park. SCCNSW Club Run - Breakfast, Como Cafe. Invitation - Display day at the Royal Motor Yacht Club at Newport. SCCNSW Club Run - Breakfast, Boots Cafe, Windsor & display Hawksbury Model & Hobby Show. SCCNSW Club Run - Show & Shine - Flower Power, Moorebank. SCCNSW Club Run - Breakfast at Barenz Cafe, Camden. SCCNSW Club Run - National Motoring Heritage Day - Motorlife Motor Museum. SCCNSW Club Run - Breakfast at Flower Power, Moorebank. Australian Studebaker Car Clubs - 21st Nationals, Wagga Wagga, NSW. SCCNSW Club Run - Warragamba Dam, BYO lunch. SCCNSW Club Run - Breakfast, to Sublime Point Restaurant, Bulli Tops. SCCNSW Club Run - Breakfast, at Armory Wharf Cafe, Newington. Invitation Run - The Berry Show. SCCNSW Club Run - Australia Day CARnivale. Invitation - 33rd All American Day, Castle Hill, hosted by the Mustang Owner's Club. SCCNSW Club Run - Christmas thingie - Jordan Springs. Newcastle Display Day - The Entrance Park, The Entrance. Invitation - Orange Blossom Festival, Bull & Bush, Baulkham Hills. International Drive Your Studebaker Day. Meet at Blakehurst, then cruise south to the Sunrise Nursery Cafe at Helensburgh for lunch. SCCNSW Club Run - Breakfast, Jordan Springs, H Cafe. Sydney Motorsport Park, Eastern Creek. Click >here< to see some photo's from brother Dan. SCCNSW Club Run - Shanon's Sydney Classic, Sydney Motorsport Park, Eastern Creek. Poor weather prevented many members from attending this event. A few of our brave members braved the elements and took some photo's. SCCNSW Club Run - Christmas in July, Robertson. SCCNSW Club Run - American Independents Day, Guildford. SCCNSW Club Run - Hawkesbury Model & Hobby Show, Clarendon. SCCNSW Club Run - Sydney Tramway Museum, Loftus. SCCNSW Club Run - Breakfast, Kokoda Cafe, Concord. SCCNSW Concours - Windsor, Macquarie Park. Invitation - National Motoring Heritage Day. SCCNSW Club Run - Breakfast, Sublime Point. NZ - 23rd Nationals, New Plymouth, Taranaki. Click >here< to see some photo's of this event. SCCNSW Club Run - Warragamba Dam Picnic run. SCCNSW Club Run - Breakfast. Oran Park Town Cafe, Oran Park. SCCNSW Club Run - Halfway meet with Newcastle, McKell Park, Brooklyn. SCCNSW Club Run - Breakfast at the Coonanbarra Cafe, Wahroonga. SCCNSW Club Run - Australia Day CARnivale, Sydney. Invitation - All American Day, Castle Hill. SCCNSW Club Run - Christmas Party, at Max and Kerri's. SCCNSW Club Run - Breakfast, Flying Fox Cafe, Mona Vale. SCCNSW Club Run - Slot Car and picnic day, SSME Model Park, Luddenham. SCCNSW Club Run - Breakfast at Kokoda Cafe. Invitation - Burwood Spring Festival, Show & Shine. Click >here< to see results. SCCNSW Club Run - IDYSD Tenpin Challenge, Villawood Bowl. SCCNSW Club Run - Breakfast at Trentino's at Windsor, then run to St Albans. Muscle Car Masters - Sydney Motorsport Park. USA - 49th SDC International Meet, Colorada Springs, CO. Hosts: Pikes Peak Chapter. Shannon's Sydney Classic - Sydney Motorsport Park (Eastern Creek) Display. SCCNSW Club Run - Breakfast at The Coffee Club, Nepean River, 78-88 Tench Ave, Penrith. Please send in a report and/or photo's if you went to this event. SCCNSW Club Run - American Independent's Day Car Show, Linnwood House. SCCNSW Club Run - Breakfast at Mamre Homestead, 181 Mamre Road, Orchard Hills. SCCNSW Club Run - 'Smoko" at Joe's. SCCNSW Concours - Macquarie Park, Windsor. Invitation - National Motoring Heritage Day. Organised by the Council of Motor Clubs. SCCNSW Club Run - Breakfast, at Armory Wharf Cafe, on the Parramatta River. SCCNSW Club Run - St. Patrick's Primary School, Car Display, Summer Hill. SCCNSW Club Run - Studebaker Car Clubs of Australia Nationals - Pokolbin, NSW. Invitation - Old Car Social Club, Annual Show and Shine - Flower Power, Moorebank. 03 Mar 2013 SCCNSW Club Run - Breakfast, to Como Marina, 2 Cremona Rd, Como, Tel: 9528 3033. SCCNSW Club Run - Half way Meet with Newcastle, Brooklyn. - McKell Park. SCCNSW Club Run - Breakfast, Barenz, Shop 2 - 130 Argyle Street, Camden. 26 Jan 2013 Invitation Run - Australia day CARnivale - around Hyde Park, Sydney. SCCNSW Club Run - All American Day - Castle Hill, organised by NSW Mustang Owner's Club. SCCNSW Club Run - Christmas Party, Windsor. SCCNSW Club Run - Mount Tomah Botanical Gardens, Bells Line of Road via Bilpin. Victorian Concours - Moorabbin Airport. SCCNSW Club Run - Breakfast, Dunes Kiosk, 1193 Barrenjoey Rd, Palm Beach. Special Tribute Event - Warren Weldon, Sydney Motorsport Park, South Circuit. Cancer Council NSW, Car Show - Blacktown Drive In, Cricketers Arms, Blacktown. Burwood Festival Show & Shine. SCCNSW Club Run - Club Anniversary Run, Canada Bay Club, 4 William St. Five Dock. SCCNSW Club Run - Breakfast Sunrise Nursery, 193 Princes Highway Helensburg. SCCNSW Club Run - Breakfast, Mamre Homestead, 181 Mamre Road, Orchard Hills. USA - 48th International Meet, South Bend, IN. Hosts: Michiana Chapter. 'ALL Independent American Makes' - Linnwood House, Guildford. SCCNSW Club Run - Breakfast, Bottle Forest Cottage Garden Centre, Heathcote. SCCNSW Club Run - Tramway Museum, Loftus. SCCNSW Club Concours - Macquarie Park, Windsor. SCCNSW Club Run - Breakfast, at Francesco’s Restaurant, Macquarie Park, Windsor. Wings Over Illawarra - Illawarra Regional Airport, Albion Park Rail. NZ - National Meet, Timaru, South Island. SCCNSW Club Run - Breakfast, to Como Marina, 2 Cremona Rd, Como, Tel: 9528 3033. Old Car Social Club Annual Show and Shine, Flower Power Moorebank. SCCNSW Club Run - Breakfast, Bistro Calavia, Camden Village Court, Tel: 4655 6666. Sydney/Newcastle Halfway Meet - Breakfast, Brooklyn. SCCNSW Club Run - Breakfast, Francesco’s Seafood Restaurant, Windsor. Australia Day, NRMA Motorfest - Macquarie St, and around Hyde Park. All American Day - Castle Towers Shopping Centre, Castle Hill. Club Christmas Party, Lunch at Jeff and Anne Louise P's place. Newcastle Concours - Monte Pio, Maitland. Highlands Motorfest - Chevalier College Moss Vale Road, Burradoo. The Blue Mountains Botanic Garden at Mount Tomah. SCCNSW - Thirlmere Railway Museum. Orange Blossom Festival, Bull & Bush, Baulkham Hills. SCCNSW - Breakfast, to Mamre Homestead Cafe. SCCNSW - Breakfast. to 'The Dunes', Palm Beach. SCCNSW - 'ALL Independent American Makes' Linnwood House. SCCNSW - Breakfast, to Como Marina, 2 Cremona Rd, Como, Tel: 9528 3033. SCCNSW - Restoration run to Robertson, then Knights Hill for a tree top walk. Motoring Expo. Motorlife Museum, Integral Energy Recreation Park. SCCNSW - Breakfast, at Armoury Wharf Cafe, on the Parramatta River. SCCNSW Annual Concours - The Entrance, NSW. CMC National Motoring Heritage Day. SCCNSW - Breakfast at Barenz, Shop 2 / 130 Argyle Street, Camden. 19th Studebaker National Meet - Fremantle, WA. SCCNSW - Warragamba Dam Run. SCCNSW - Breakfast, to Coffee Club at Penrith. Unfortunately, the weather was bad, and this event was rained out. SCCNSW - Wings over Illawarra. Illawarra Regional Airport. American Car Show, Pittwater Rugby Park, Pittwater Road, Warriewood. SCCNSW - Breakfast, to Brooklyn. Australia Day, NRMA Motorfest - Sydney City. SCCNSW - Breakfast, to Como Marina. All American Day, Castle Towers Shopping Centre, Castle Hill. SCCNSW Club Christmas Lunch - At John and Jan's, Carss Park. SCCNSW - Breakfast, Regals Rendezevous Restaurant, Annangrove Road. Click >here< to see some photos' from the day. SCCNSW - Breakfast and Slot Car day, Luddenham. Burwood Spring Festival, Show & Shine. Classic Car Day & Swap Meet - The Bull & Bush Hotel, Baulkham Hills. SCCNSW - Breakfast @ Brooklyn. This event was cancelled. Due to it being Father's Day and most venues booked out. SCCNSW - Breakfast at Barenz, Camden. 'ALL Independent American Makes' - Linwood House, Guildford. SCCNSW - Breakfast at Mamre Homestead. Joe's place at Condell Park, and Chris R's place at Willoughby. Australian Motorlife Museum (AMLM) in Kembla Grange. SCCNSW - Breakfast at Como Marina. SCCNSW Annual Concours - The Entrance. SCCNSW - To St Albans. Wings Over Illawarra - Albion Park Regional Airport. American Car Sunday - Pitwatter Rugby Park, Pittwater Road, Warriewood. Blacktown City Show - Blacktown Showground, Richmond Road, Blacktown. SCCNSW - Halfway meet at Brooklyn with Newcastle Club. Unfortunately, this event was cancelled again due to bad weather. NRMA Motorfest - Sydney City. Australia Day - Penrith, Regatta Park. 28th All American Day - Castle Towers, Castle Hill. SCCNSW Club Christmas Party - At Carlton. McHappy Day, Werrington - We were invited to display a few of our cars. Newcastle Club - Concours at the Monte Pio at Maitland. SCCNSW - Kurrajong Radio Museum and Village. Victorian Club Annual - Concours at Moorabbin Airport. SCCNSW - 2009 American Car Nationals, Queanbeyan Showground. SCCNSW - Orange Blossom Festival. SCCNSW - Burwood Spring Festival Show and Shine, Burwood Rd, Burwood. Queensland Club - 40th Birthday Party Celebration Concours at Southbank Parklands. SCCNSW - Christmas In July. Combined with Newcastle Club, 6.5 hours with Starship Cruises on the Hawkesbury River. SCCNSW - Slot cars at SSME, Luddenham. SCCNSW - Motorlife Museum, Kembla Grange, Wollongong. SCCNSW Concours. At The Entrance, NSW. SCCNSW - Independent's Day, Linwood House, Guildford. 18th Studebaker National Meet - Ballarat, Vic. HQ: Bell Tower Conference Centre. The Old Car Social Club Day - Flower Power, 124 Newbridge Rd, Moorbank. Organised by Old Car Social Club and Liverpool Lions. Warriewood American Car Show - Pittwater Rugby Park, Pittwater Road. Halfway Meet with Newcastle Club - McKell Park, Brooklyn. Classic Car Day - Penrith Regatta Centre. NRMA Motorfest - Macquarie St. Sydney. All American Day - Castle Towers, Castle Hill. Christmas Party at Max & Kerri's, Bankstown. Newcastle Display Weekend at Monte Pio, Hunter Valley. SCCNSW - Highlands Motor fest, Chevalier College, Moss Vale. SCCNSW - Slot Car Racing, SSME model park, Luddenham. SCCA Concours - Moorabbin Airport. Orange Blossom Festival - Bull & Bush Hotel, Baulkham Hills. SCCNSW Club Run with Newcastle Club, to Reptile Park, Gosford. Queensland Concours - Held at South Bank alongside Brisbane River. 4th National Meet - Dubbo, NSW. SCCNSW Club Concours - Castle Hill. 3rd National Meet - Adelaide, SA. SCCNSW Club Concours - Lane Cove National Park. SCCNSW Club Motorkhana - Caddies Park. Sydney/Newcastle Halfway Meet - Gosford. 2nd National Meet - Wagga Wagga, NSW. First National Meet - Cooma, NSW. SCCNSW Club Concours - Vaucluse House, Sydney. First SCCNSW Club Outing - Prospect Reservoir. Click >here< to see 'Custom Rodder' magazine report on the day.